If moving your home belongings to a new home, you will need to carefully prepare everything for the day of your move. Take special measures to make sure your expensive artwork stay intact during transport. There is a lot you can do on your own to protect your moving cargo, without professionals, you only need a guide. However, when transporting expensive paintings, it is best to leave this part to the professional fine arts movers NYC, that specialize in artwork relocation. If you still decide to do this moving task on your own, consider our guide and learn to pack paintings for shipping with ease. Research and explore, especially if you are shipping your painting for the first time. How to prepare when moving artwork? When you start organizing your relocation, make sure to prepare the right way especially for packing your paintings. To perform this moving task like a professional you should consider asking your reliable movers for advice. They can give you pointers about the most important aspects of packing artwork. Quality Chelsea movers may tell you how to pack paintings for shipping but also tell you what not to do when handling such a delicate task. The first thing you should consider is getting all the packing materials you need to successfully prepare your paintings for shipping. Keep in mind that it is different if you are packings for a local move or long distance one. If you are shipping paintings long distance it is important your paintings get the best protection. Their boxes can move during transport. That is why you should make sure to add additional layers in order to protect them. When packing paintings for moving long distance, it is important you buy the best packing materials to protect your valuables. You should consider contacting your movers. They can offer you quality moving boxes NYC you can use for packing your paintings or any other items you have to ship. They usually can provide specialized moving boxes and other material you need for packing paintings. Only quality materials and firm boxes will protect your paintings. Use only the best quality materials. The last thing you want is damaged paintings. Pay special attention when packing paintings and other artwork. If you are doing it for the first time, a guide is required. The painting should be faced down on the glassine. There should be enough room to wrap it. Using artist tape will protect and secure your paintings during the shipping process (not packing tape, this can damage it). Fold the end of the tape so you can grab it easier when unpacking. Do not use too much tape because it may damage the painting. Try to use as little as possible. Using air bubble foil for shipping fragile and sensitive items is required, so use it right. Again, a painting should be faced down against the air bubble foil. If you don’t do that you might leave a mark on the painting. Wrap it multiple times. It should be about three inches of extra air bubble foil on each side of the painting. Secure a foil with tape. In the end, when you pack paintings for shipping, it should be in a moving box. Boxes will be in a delivery truck and into a shipping container. So, make sure the box can survive it. A box must be a little bit bigger than the painting. A space between the box and painting should be filled with a foil. If you have more than one painting to pack and ship (in the same box) put cardboard between them. Label all of your boxes on 2 sides. Don’t use packing peanuts because if the box is damaged the peanuts will spill out. A wider artist tape is a perfect tape for paintings. Also, don’t forget to tape the glass on the painting, it is required (in the shape of a star). This will prevent it from breaking. It is a good option to add protective cardboard on the corners. This maybe sounds unnecessary, but it will protect your artwork. Wrap any fragile item or artwork with an air bubble foil to have extra protection. How to find quality artwork movers? When it comes to transportation, you will need a company which is reliable. There are some tasks you should check when choosing a moving and shipping company. Getting transit insurance, checking a license, reading reviews, asking for referrals, etc. Pay attention to every detail and to red flags. 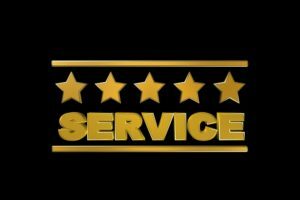 Hire 5-star service for the relocation and shipping. That’s how your paintings stay safe. You may pack paintings for shipping by yourself, but without a company, the process won’t be successful. Choose the best movers and make sure you checked everything. If you need help or some additional tips with packing too, a company you hired may do it instead of you. 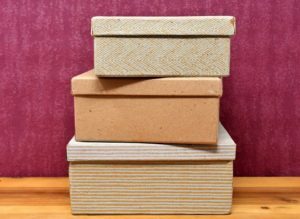 If you aren’t sure or, on the other hand, you don’t have time to pack your artwork, paintings, and household items, a full-service company can.